i found this awesome vintage print to frame and replace the summer subway art i had up. 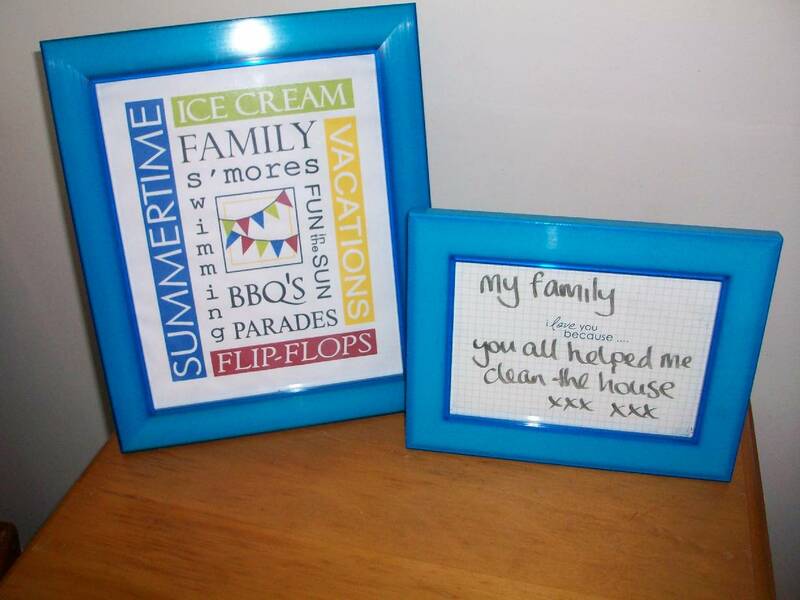 given i wanted to reuse the blue frame (see below), i needed something with a hint of blue in it but that was also reflective of the season. the vintage postcard from tattered treasures is just perfect. i copied it into a word document and enlarged it to almost an A4 size then printed it out. 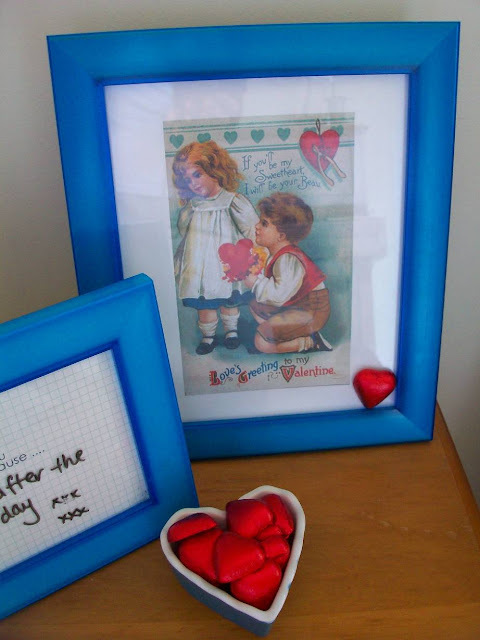 the other thing i did for my little valentine's decor was fill a lovely blue heart dish, a very sweet friend of mine gave me for christmas, with red chocolate hearts, keeping in the theme of reds and blues. outcome: awesome, love the colours, i have lots of reds about, but i really like the blue accent ... a little untraditional but works really well with everything else going on in my house! 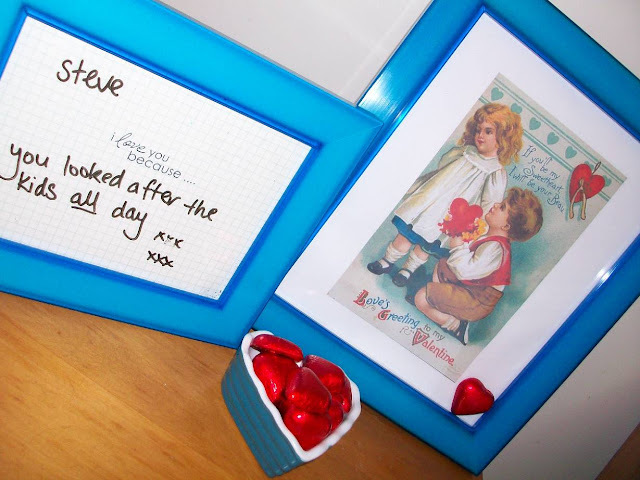 the vintage valentine is so cute i am definitely going to look out for more on pinterest that are allowed to be copied (like this one) to add around the place ... i really like vintage things and holidays, they just seem to go so well together! So cute! I love that and the love printable! They both turned out so cute!